Jordan Meadows is a junior at Michigan State University studying journalism with a concentration in writing and reporting. He hopes to write for a newspaper or some other publication after graduation. Hopefully, somewhere a little sunny. MLAnsing residents voice concern at city council meeting and Mayor Schor releases his new proposed budget. Participatory budget nights at Cristo Rey Community Center, where Lansing Mayor Andy Schor and several of his department heads discuss the city’s budget. An exhibit at the Lansing Art Gallery, which showcases local artists, brought together two who approach similar themes through different media. They met at the gallery. 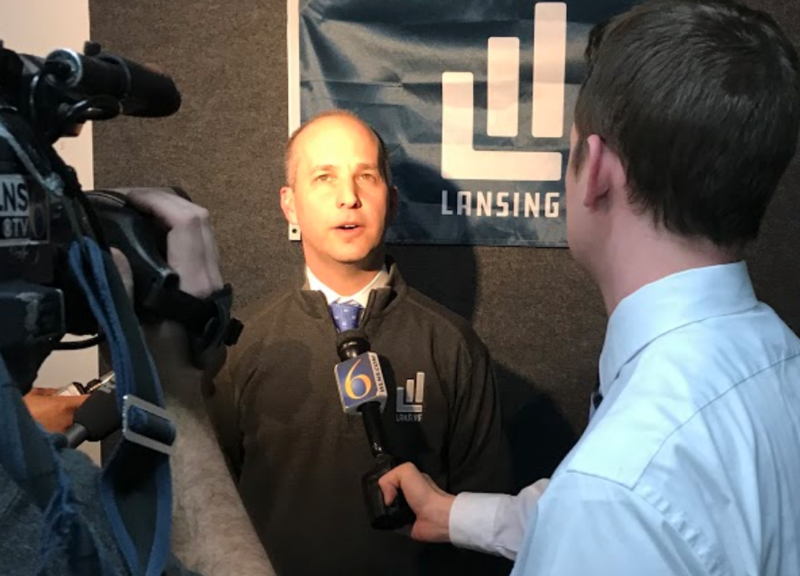 Lansing Mayor Andy Schor spoke about development, jobs, the arts and a vision for Lansing’s future in Wednesday’s State of the City address at the downtown Riverwalk Theatre.